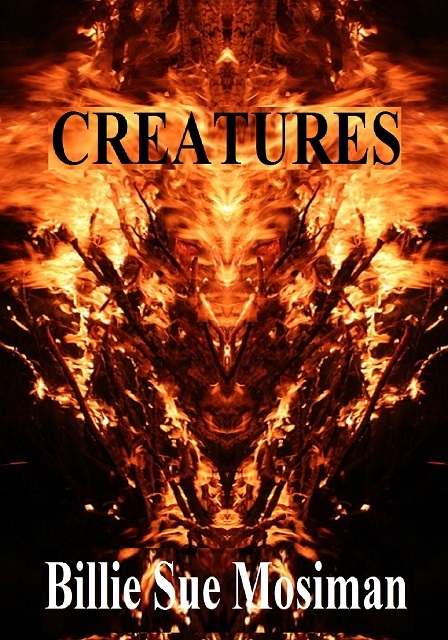 CREATURES includes three short stories about a werewolf, a zombie, and a fallen angel--creatures. The 3-story collection consists of THE SCREAM, THE LONELY WALK, and ANGELIQUE. THE SCREAM-A young boy on a farm is bitten by a creature he calls a Thing and months later becomes a werewolf. People are going to scream. THE LONELY WALK-A novelette of a man who leaves home to get help for his family and falls prey to zombies. Now he can never go home again. ANGELIQUE-An evil fallen angel inhabits the human body of a little girl and she needs help to survive in the world--she needs Nisroc, the angel who can help her destroy the world. Three tales of terror from Bram Stoker and Edgar Nominated Billie Sue Mosiman, author of more than 50 books. Offered in mobi format. Read on your Kindle or Kindle app on your phone, computer, or tablet.